From a design perspective, the intentionality of students to engage in surface or deep learning is often experienced through prescribed activities and learning tasks. Educators understand that meaningful learning can be furthered through the structural and organizational design of the online environment that motivates the student towards task completion. However, learning engagement is unique for each student. It is dependent on both how students learn and their intentions for learning. Based on this challenge, the design of online discussions becomes a pedagogical means in developing students\u2019 intentionality for the adoption of strategies leading to deep learning. Through a Design-Based Research (DBR) approach, iterative design of online learning components for undergraduate field experience courses were studied. For this paper, the focus of the research is on examining factors that influenced deep and surface levels of learning in online discussion forums. The results indicate that design factors (i.e., student engagement, group structures, and organization) influence the nature and degree of deep learning. From the findings, two implications for practice are shared to inform the design and scaffolding of online discussion forums to foster deep approaches to student learning. Johnson, C., Hill, L., Lock, J., Altowairiki, N., Ostrowski, C., da Rosa dos Santos, L. & Liu, Y. (2017). Using Design-Based Research to Develop Meaningful Online Discussions in Undergraduate Field Experience Courses. 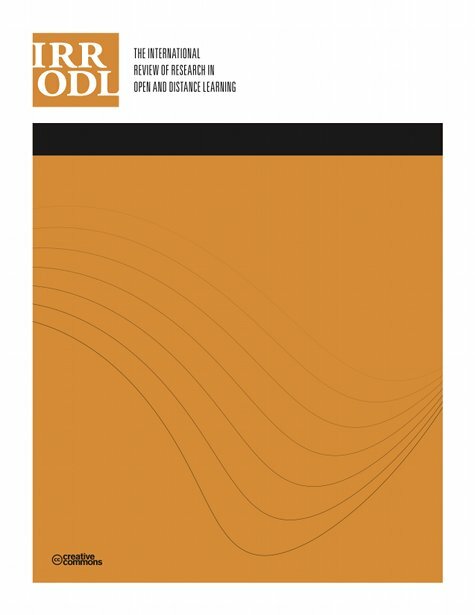 The International Review of Research in Open and Distributed Learning, 18 (6),. Athabasca University Press. Retrieved April 18, 2019 from https://www.learntechlib.org/p/180998/. Diseth, A. (2003). Personality and approaches to learning as predictors of academic achievement. European Journal of Personality, 17(2), 143-155. Donnison, S., & Penn-Edwards, S. (2012). Focusing on first year assessment: Surface or deep approaches to learning? The International Journal of the First Year in Higher Education, 2(1), 9-20. Henri, F. (1992). Computer conferencing and content analysis. In A.R. Kaye (Ed. ), Collaborative learning through computer conferencing: The Najaden papers (pp. 117-136). New York, NY: Springer. Lublin, J. (2003). Deep, surface and strategic approaches to learning. Centre for Teaching and Learning, University College Dublin. Marton, F., Hounsell, D.J., & Entwistle, N.J. (Eds.) (1984). The experience of learning. Edinburgh, Scotland: Scottish Academic Press. McKenney, S.E., & Reeves, T.C. (2012). Conducting educational design research. Milton Park, Abingdon, Oxon: Routledge. Saldaña, J. (2013). The coding manual for qualitative researchers (2nd ed.). Los Angeles, CA: Sage Publications. Simpson, R. (2003). A search for the complete education: Balancing the needs for survival and fulfillment. Innovation Higher Education, 28(2), 91-105. Zhang, T., Gao, T., Ring, G., & Zhang, W. (2007). Using online discussion forums to assist a traditional English class. International Journal on E-Learning, 6(4), 623-643.